Facebook, in the current year, has garnered nearly 4 billion video views every day and YouTube gets about 7 billion video views every day! So how do you create videos if you hate the camera? 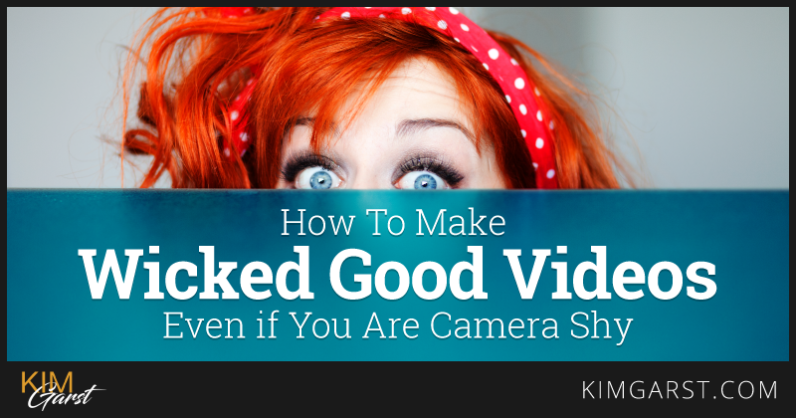 In this post, I will share some killer tips that will help you create some wicked goood videos even if you hate the camera. If you have that puking feeling when you get in front of the camera let me tell you, you are not alone. A research by Dove, shows nearly 77% of women are self-conscious in front of the camera. The stats are nearly equal for men! Video is the one of the best ways to express what you want to say but you do have to get over your fear of hitting that record button. The good news is that you don’t need to publish your very first video(s). Sigh of relief right? First videos are almost always throwaways but it’s a great way to practice. This will help get you used to being in front of the camera. Create short videos everyday and see how you can make it better. After playing around you will have a better idea of how you can feel more comfortable on camera. You will get an idea of your optimum lighting, posture (sitting, standing etc), and your best tone. Knowing your industry norms in video marketing can help you become less camera conscious. Study popular brands’ video ad strategies and see how they share content. For example, if you are selling Facebook ads and marketing services, Jon Loomer’s website would be a good fit for you. Or if you are in the jewelry business, you could take an inspiration from the Sparklesurplus blog or their Facebook page. Do you get uncomfortable when talking to a camera on a tripod stand? Talking to a lens can make it hard to keep your tone natural. Try replacing the tripod with a real person, preferably a friend or colleague you are comfortable with. Don’t think about who else is going to look to your video just talk directly to the person literally standing behind the camera. This will ease you with your camera and you will enjoy your process. Make sure that you are occasionally making eye contact with the camera so that it appears like you are directly talking to your audience. In video marketing, short is the new “more”. Viewers like crisp and direct conversations. Additionally, shorter videos will not give you time to worry about your camera presence. The first 7 seconds are of great importance. You need to capture your viewer’s attention within this time. Make your presentations short and up to the point. Prepare your script well in advance and try to keep it short and focused. Jot down the important points as a bulleted list so that you won’t miss it. Having your homework done prior to recording can ward off your fears for camera. When in front of the camera, don’t try to be someone you aren’t. Just have fun and be the real you! You can interact with the camera, have fun and show the viewers that there is a real person behind the camera. You can change you shoot location, using a garden or and open space can boost your confidence when in front of the camera. This will not only increase your ad conversions, but also will drive the shyness away from you. Video ads have consistently been converting better and cheaper than normal ads! However, if you still aren’t ready to get in front of a camera then you can still make good videos by using animated tools. Since most videos autoplay without sound, animated videos are a great way to capture viewer’s attention with your message. A case study by Veeroll co-founder Gideon Shalwick actually shows that ads with animation produce better results than a talking head video. He set two ads with the same ad copy, same targeting and budget and found out that animated video ad outperformed the talking head ad in both cost per lead and engagement. While this might not be the case for everyone, there is no harm in testing. Testing and re-testing will help you figure out which video style resonates with your audience and results in conversions. Videoscribe is a great way to make whiteboard videos. The app allows you to write your message, add images to your presentation and make it even more eye catching. The drag and drop feature makes it even easier! 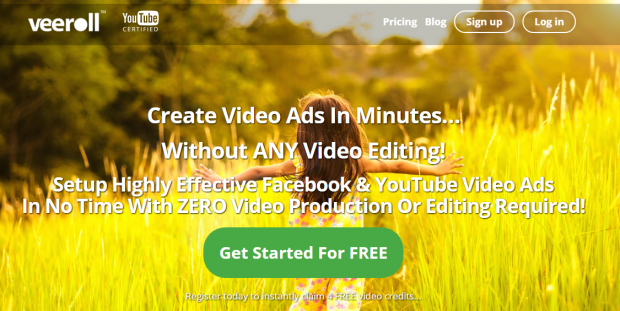 Veeroll is a tool that specializes in creating Facebook video ads. You can start making great animated video ads with Veeroll’s prebuilt ad templates. Ads made with Veeroll can be directly uploaded to Facebook and set for advertising campaigns. Price: $35 per month (free trial available). Wideo is a bit new to the animated business, but they can make pretty good videos. One advantage of wideo is that it is free for videos less than 45 seconds. 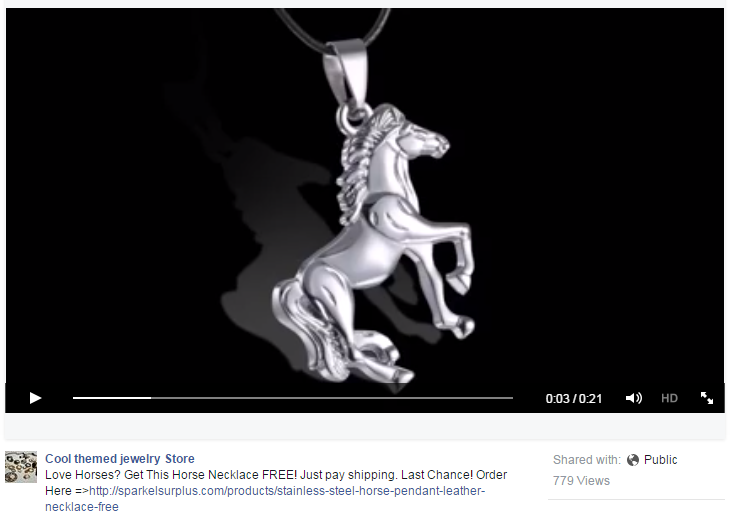 This is enough for Facebook video ads because they should be short and sweet! This is a great option while you are getting over your camera shyness. Price: $9 per month (free for videos less than 45 seconds). Goanimate is an advanced video animation tool. It has pre-made templates where you can set environments in which your characters talk. For example, if you want an office look, you can set your template as an office. It is on the pricier side, but is a good option if you want to make professional quality video ads. 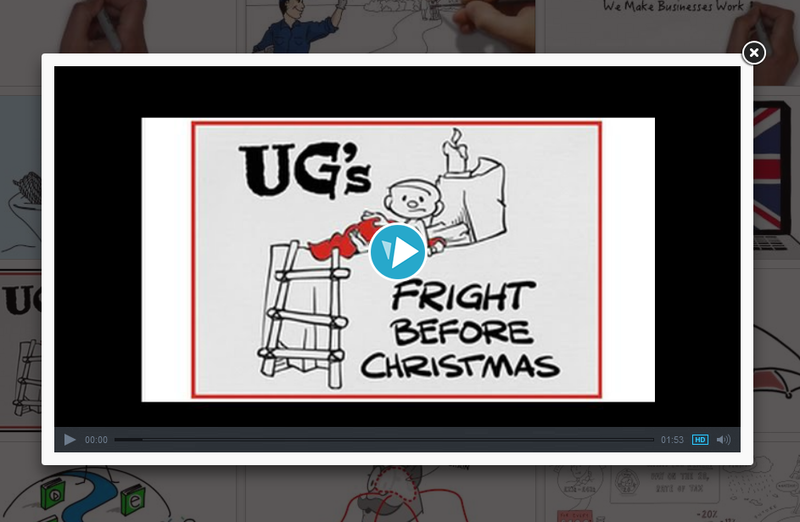 Here is an example video for a product created with Goanimate. Being camera shy is not a problem, but not trying to overcome your fear for camera sure is. There are numerous ways to create wicked good videos even if you hate the camera, you just need to follow the above tips. Do you have another tip for those who are camera shy or a tip on how to create wicked good videos? Share them below! Thanks for sharing Tools for video creation. This post will be much helpful for me. Yeah true,video advertisements have reliably been getting more conversions than normal ads.Drive away your shyness..It’s OK to be weird. Thanks for the great info, plus stats on the comparison between animated and talking head! This is so chock full of useful information , I can’t wait to dig deep and start utilizing the resources you have given me . Your Exuberance is refreshing. Great advice for anyone who makes video content! Having someone to talk to behind the camera is a great idea for anyone who is camera shy. Thanks for sharing. this is really amazing i have seen it for first time and also share it with my friends i would like to thank you again.